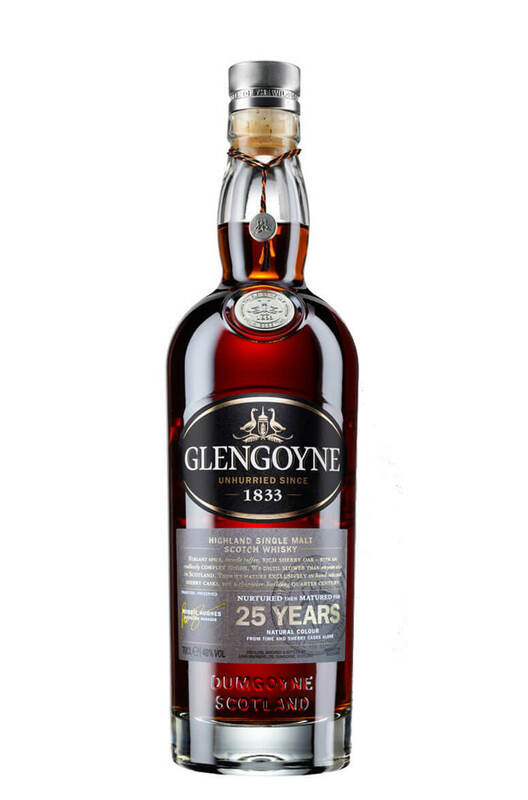 The 25 year old is one of the newest releases from Glengoyne and it has had some great reviews. This is a richly flavoured whisky with lots of sherry cask influence but no peat smoke. The flavours are of stewed fruits, prunes, figs and dark chocolate with hints of marmalade and black pepper. Nose Intense, spicy, fruity and oaky. Orange marmalade, dark chocolate, fruit cake, old leather, old oak and exotic spices such as cloves, black pepper, allspice and cinnamon. Palate Dry and surprisingly smooth at 48%. Thick and mouth coating. Initial flavours of chocolate, spiced oranges, cloves, and malted milk biscuits. There’s a chunky, tannic quality which adds structure. Finish Lots of fruit and spice. Colour Deep bronze with a reddish tinge. Like other Glengoyne whiskies this is completely unpeated and has a light, delicate character. Lots ..